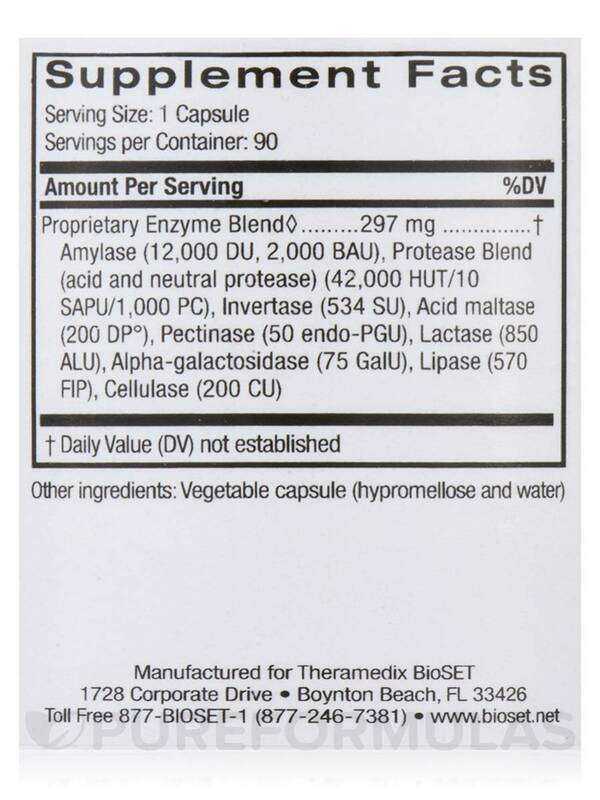 A nutritionist suggested that I try DGT Digestive Formula by Theramedix. 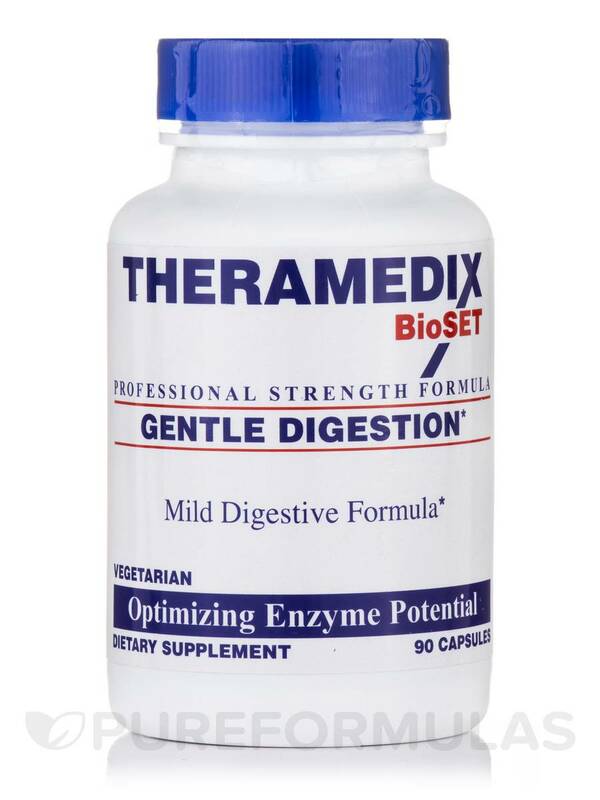 DGT Digestive Formula by Theramedix helps assimilate food more easily Recomend over other brands. Taking DGT Digestive Formula by Theramedix prior to eating takes away so much discomfort when eating. It has helped to decrease gas and bloating. It has only been a few weeks taking but I can really feel a change. Dealing with digestive problems like bloating‚ diarrhea‚ gas‚ or nausea can make you dread eating your next meal. These kinds of problems occur for a number of reasons: you may have a food sensitivity‚ or suffer from a disorder that interferes with proper digestion. You might find relief from limiting your diet‚ or by taking a supplement that supports healthy digestion. 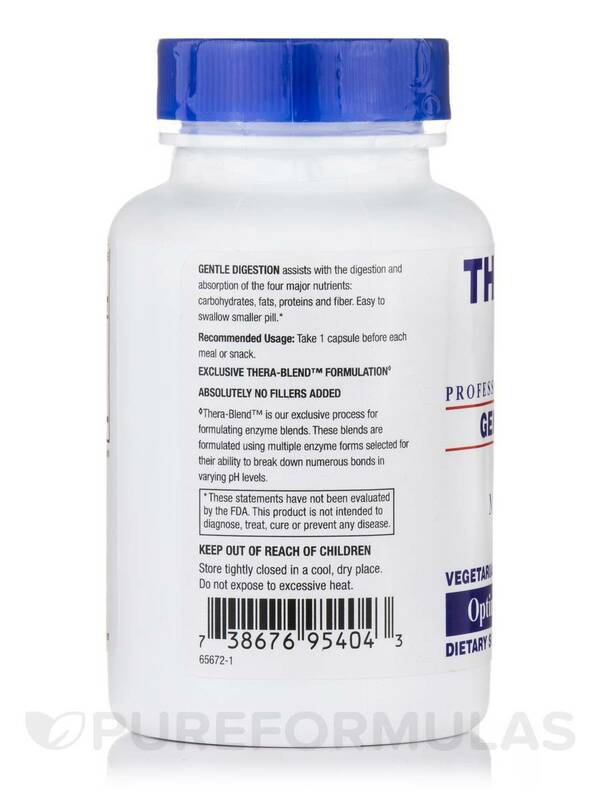 One bottle of Theramedix’s DGT Digestive Formula contains 90 capsules‚ which should last for up to one month‚ depending on your dosage. Take one capsule with each meal‚ unless otherwise directed by your doctor. Your ideal dosage will depend on how much you’re eating‚ whether or not you’re consuming alcohol with meals‚ your overall health‚ and how well your digestive system functions. Since its inception in 2005‚ Theramedix has been dedicated to providing only the highest quality products to healthcare professionals and their clients. This is made possible through the company’s well-researched and carefully-developed nutritional supplements‚ which deliver the optimal health benefits of enzymes. Amylase (12‚000 DU‚ 2‚000 BAU)‚ protease blend (acid and neutral protease) (42‚000 HUT/10 SAPU/1‚000 PC)‚ invertase (534 SU)‚ acid maltase (200 DPo)‚ pectinase (50 Endo-PGU)‚ lactase 850 ALU)‚ alpha-galactosidase (75 GaIU)‚ lipase (570 FIP)‚ cellulase (200 CU). 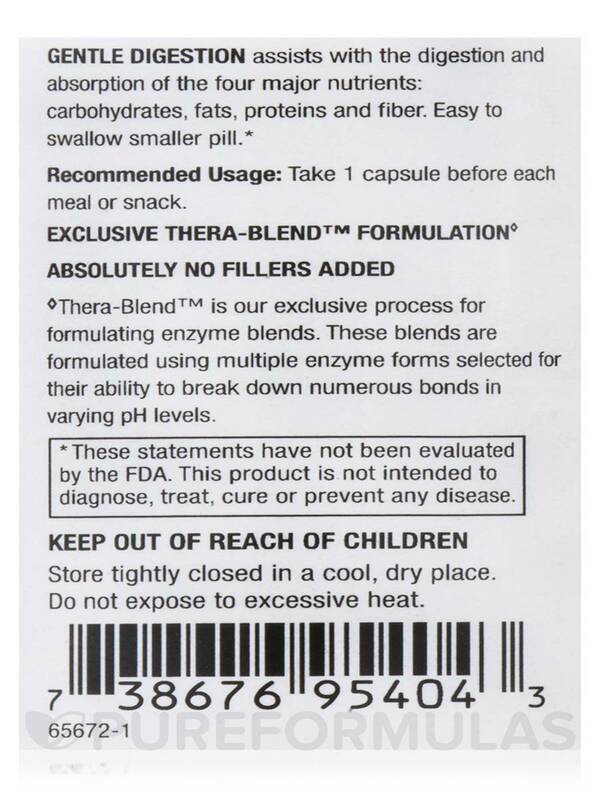 *Thera-Blend™ is an exclusive process for formulating enzyme blends. These blends are formulated using multiple enzyme forms selected for their ability to break down numerous bonds in varying pH levels. Other Ingredients: Vegetable capsule (hypromellose and water). Absolutely no fillers added / Vegetarian. Take 1 capsule before each meal or snack. It helps me to feel better. PureFormulas service was very prompt. I don't dislike anything about DGT Digestive Formula. I havent seen a difference since I stated taking DGT Digestive Formula. I even take three at before dinner. I am sensitive to many ingredients and foods and I have digestive deficiencies which are helped by DGT Digestive Formula by Theramedix without any side effects. It is also gluten free and free of many other allergens. Thank you Pure Formulas for selling DGT Digestive Formula. It is pure of most allergens and it works without side effects. For the last three years my digestive system has been in a spin likely the result of taking statins to keep my cholesterol in check. After changing prescription drugs twice in an attempt to alleviate occasional bloating and discomfort a colleague suggested I may have an enzyme problem. She gave me a bottle of DGT to try and after the first capsule I began to notice considerable improvement. Now I take DGT before or with each meal and feel like my old self. Quick alleviation of intestinal issues brought on by taking prescription statins. Thank you for reaching out to us, Sandy. 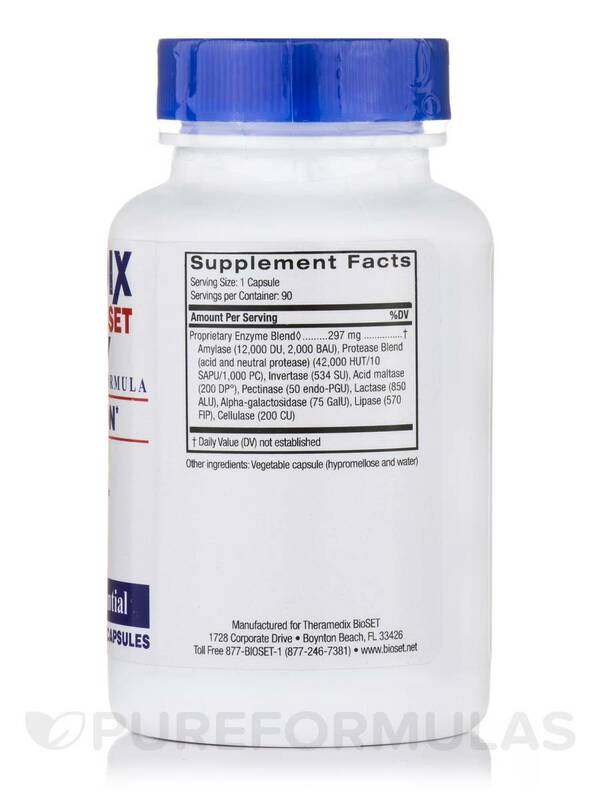 The information provided by the manufacture says this product provides you with a combination of enzymes and healthy bacteria to support the digestive tract when dealing with digestive problems like bloating‚ diarrhea‚ gas‚ or nausea. We recommend consulting your health care provider to see if this product would be right for your needs.